Announcing a new weekly program to fight isolation! 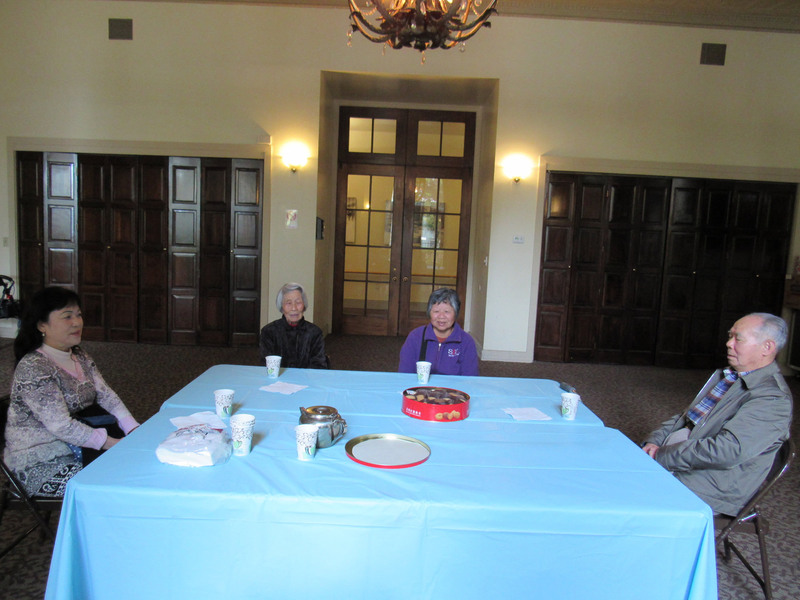 Village staff are happy to introduce a new program called Tea Time, which meets weekly in the tea room, with tea and refreshments. 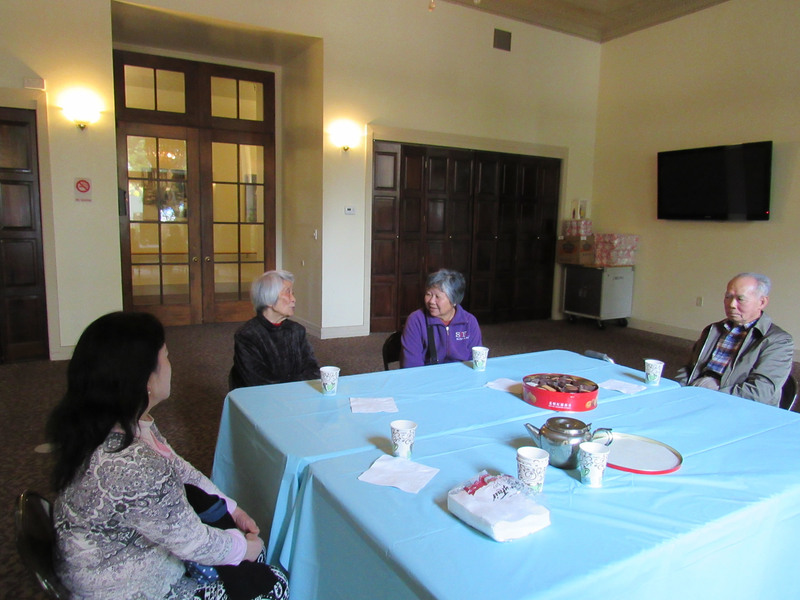 Residents gather with Village Service Coordinator, Judy Fang, to discuss various topics, from health related topics, to personal stories and current events. 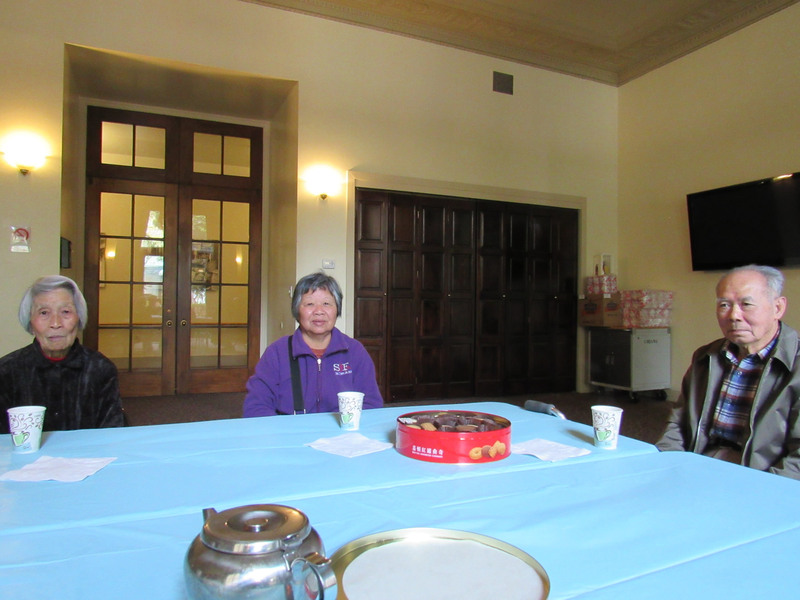 The goal of Tea Time is to encourage residents to continue to participate and fight isolation. 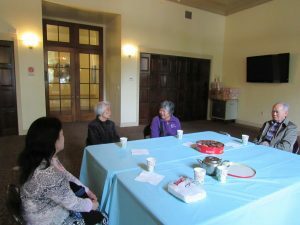 All residents are welcome to join, but special invitations are given to residents who normally don’t participate in Village events or who have only joined one or two Health Groups. 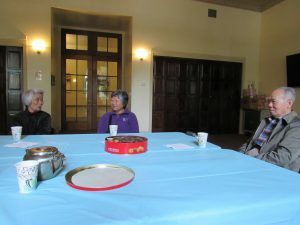 The groups that meet are smaller than our Village Health Group meetings, so residents report feeling very comfortable sharing personal stories. Many new friendships have already formed. Please mark your calendars for the next Tea Time! Participation = Good Health! ← Announcing special home visits for isolated residents!